William was born in 1840 at Thornley, Co Durham, to parents Richard Glass and Eleanor Melvin. Richard was a brick maker and tookover the Wellfield Tilery in 1855. William took over the Wellfield Brick and Tileworks after his father retired and was known in the area to be a fair employer. William retired in 1906 and the business was taken over by his nephews. William served 12 years on the Castle Eden Parish Council. William was a Durham County Councillor, representing Easington District. He was reckoned among the Liberals on the council, but had been requested to stand by both parties and was elected unopposed. William was a member of the Education Committee. William became a Sunday School teacher at the age of 15 and worked in Sunday School throughout his life. In total he served for 55 years in the Sunday School, 24 as Superintendent. He also worked as a class leader. At Wingate, William generously contributed £1,000 to the erection of the chapel and school in 1896; the total cost was £2,000. William served at the Thornley Circuit Steward for many years and was later the Wingate Circuit Steward when it was formed in 1901. 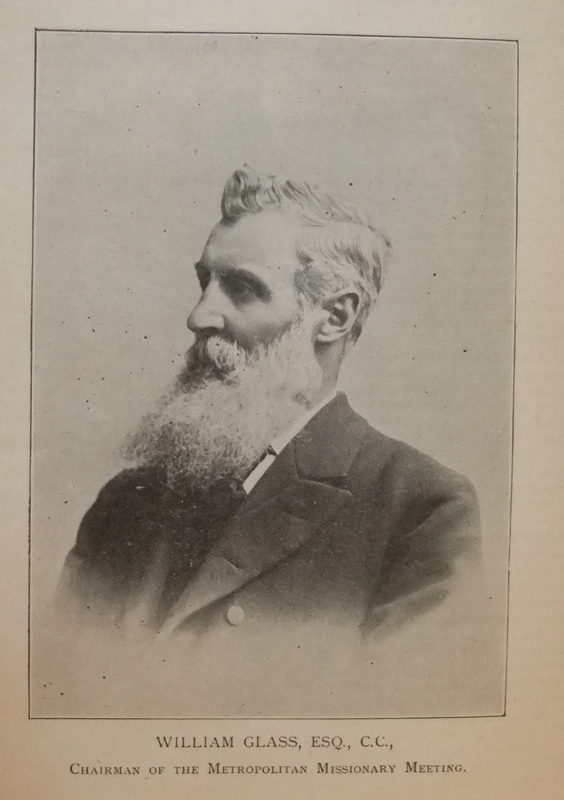 William served on both District and General Sunday School Committees. He was also District Orphanage Treasurer. William was Vice President of Conference in 1898 and Chairman of Metropolitan Missionary Meeting 1899. William married Mary Esther White (1844-1900) in the summer of 1880 at Wingate, Co Durham. William died on 4 May 1912 at Wingate, Co Durham. The pictures above are of the Bible given to my 3rd great-grandfather (William Race) and originally presented to William Glass. 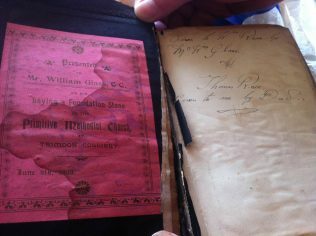 It was presented to him for laying a foundation stone of the Trimdon Colliery Primitive Methodist Church and is dated June 9th 1900. 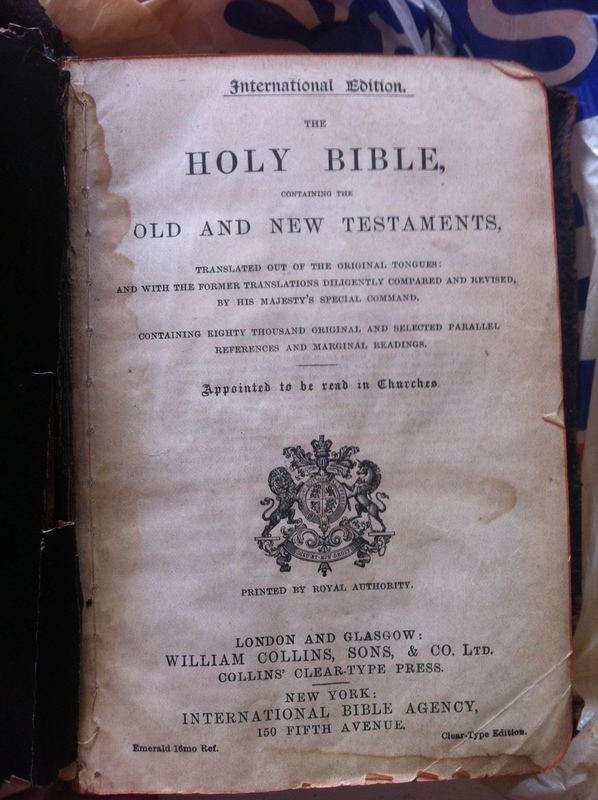 I don’t know the exact reason William Glass gave it to William Race but the Race’s are listed online as one of the chief families worshipping at the chapel. Also, William Race’s father is George Race. He was also a preacher and designed the church at Westgate so there may be a connection there.